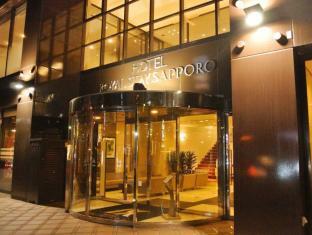 The 3-star Hotel Royal Stay Sapporo offers comfort and convenience whether you're on business or holiday in Sapporo. The property features a wide range of facilities to make your stay a pleasant experience. Facilities like car park, laundry service, smoking area, meeting facilities, Wi-Fi in public areas are readily available for you to enjoy. Guestrooms are designed to provide an optimal level of comfort with welcoming decor and some offering convenient amenities like coffee/tea maker, inhouse movies, telephone, air conditioning, non smoking rooms. The hotel offers various recreational opportunities. Hotel Royal Stay Sapporo is an excellent choice from which to explore Sapporo or to simply relax and rejuvenate.